The Traveling Mailbox Team is pleased to announce the latest feature to your Traveling Mailbox – A full Dropbox Integration! With this Integration, you can link your Traveling Mailbox directly to your Dropbox account to send your Scanned PDF’s directly over to your Dropbox Account. Its easy, fast, and included with your Traveling Mailbox Subscription! To Activate, Click Integrations on the left in your Online Mailbox, then simply click the slider to activate the Dropbox Integration. 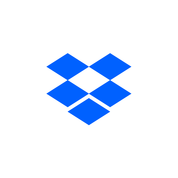 Simply follow the next step to give us authorization to link to your Dropbox account and you are all set! Have questions? Post below or email us at [email protected] Feel free to chat with us also or call us at 855-749-1737.